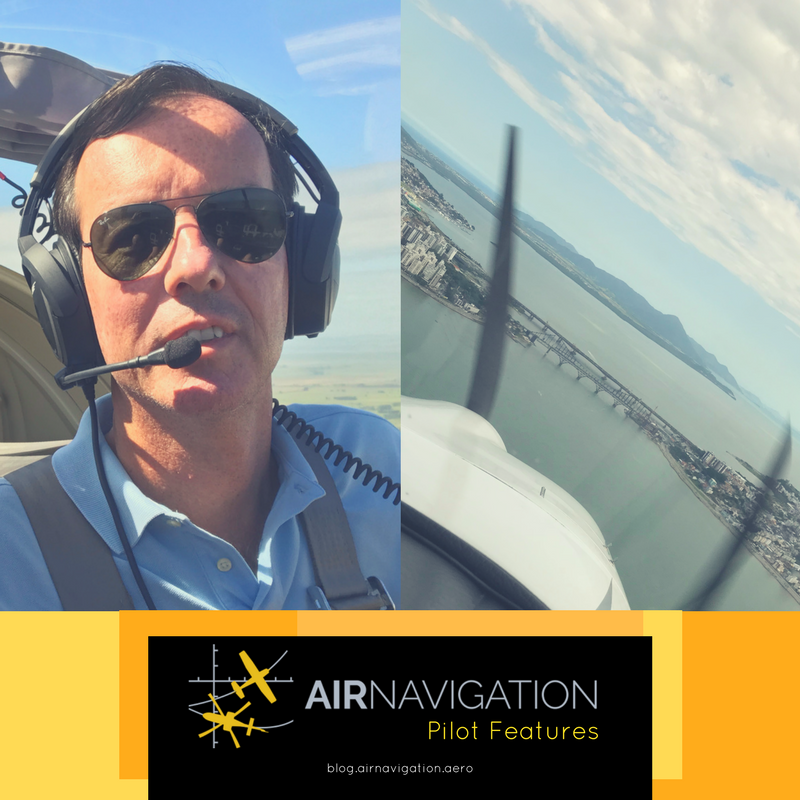 The Air Navigation Pro team has been actively collecting stories from pilots around the world and featuring them in our blog. This year, we're honored to have met a 54-year-old pilot and businessman from Brazil, with a life-long pleasure of flight and travel. He has shown our team photos of amazing views in South Brazil and we look forward in seeing them for real in the future! Q: Hello, please introduce yourself and tell us about your experiences. Firstly I would like to thank the Air Navigation team for inviting me to share my flying experiences. My name is Marcelo Riegel, I'm 54 years old, Brazilian and a businessman on the construction industry. I have dreamed of being a pilot since I was a child, but life led me on a different path. However, five years ago I became a private pilot after studying on Novo Hamburgo's Aeroclube, located on Brazil and founded on 1947. There is a famous Da Vinci's quote that explains what fascinates me about aviation, which says "for once you have tasted flight you will walk the earth with your eyes turned skywards, for there you have been and there you will long to return". My favorite plane would be the Cirrus SR 22 T, although I currently own a RV9 which makes me very happy during our flights together. If I had to choose a favorite location, it would have to be wonderful beaches on the coast of Santa Catarina, a state in the south of my Country. Bombinhas is a beach that holds a special place in my heart, because 25 years ago I built a house there with my father, where I spend my vacations ever since. Seeing it from above was a special moment. I started using Air Navigation PRO on my early navigation, after the app was presented to me by a fellow pilot. And of course the technical support which is efficient and fast on responding to every question. I did use other navigation apps, but the graphics and user friendly characteristic of the Air Navigation has always captivated me more. There are two unforgettable flights I took with my wife while using Air Navigation PRO that I would like to share. The first would be a flight to Parque Nacional da Lagoa do Peixe (of Fish Lagoon's National Park in English), distant 255 NM from my hometown, which is in Rio Grande do Sul, the further south state in Brazil. This lagoon is beautiful place where it's possible to observe several species of migrating birds, such as flamingos and ducks. The other wonderful experience was the beaches of the coast of Santa Catarina that I mentioned earlier. They distance 240 NM from my hometown, and are geographically breathtaking, with beautiful terrain and crystal clear waters. Being able to fly from my home to this wonderful location is something that will stay on my memory forever, and I believe also on the minds of everyone who is able to make this flight. To those still not using Air Navigation PRO I would say they do not know what they are missing, for this app makes our flights easiest and safe. I have introduced the app to many friends who, with no exception, started using it. In the times I'm not flying, I'm usually spending time with my family or working in the construction of buildings. Also whenever I get a chance I work on the cleaning and maintenance of my RV9 - my daughters say it is my favorite child. Q: What do you see yourself doing three years from now? If given the choice, in three years I would like to cut back on my working hours and dedicate more time to flying, which is clearly my favorite hobby. Q: What would you tell non-pilots about the joy of flying? I could tell them that it is a joy better experienced than explained, for the Earth has so many amazing landscapes and while flying you are able to see it in an unforgettable and unique way, and to experience amazing times. I would also suggest that even if you do not have the desire to be a pilot, if opportunity presents, get a ride with someone else, for I think it is an experience that will dazzle you. Brazil now has its own subscription package! Learn more about it here. You can find out more about Marcelo Riegel in Facebook, and Instagram. Amazing to read it Marcelo! You are a true enthusiast of aviation, and we can feel it reading your stories here. Of course by knowing you as a friend ,I can testimonial that you are a very good pilot that do safe flights, and is passionate by aviation world!